Intimate dining is a unique experience where all senses are stimulated in a seductive play of pure enjoyment. 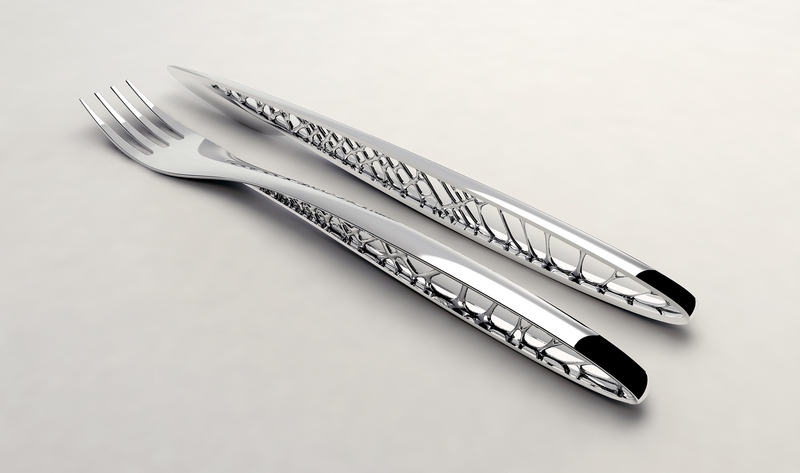 This cutlery set “Jewel”, developed for and in collaboration with deSter, takes this dining experience to the next level by elevating the silverware to the level of jewellery. 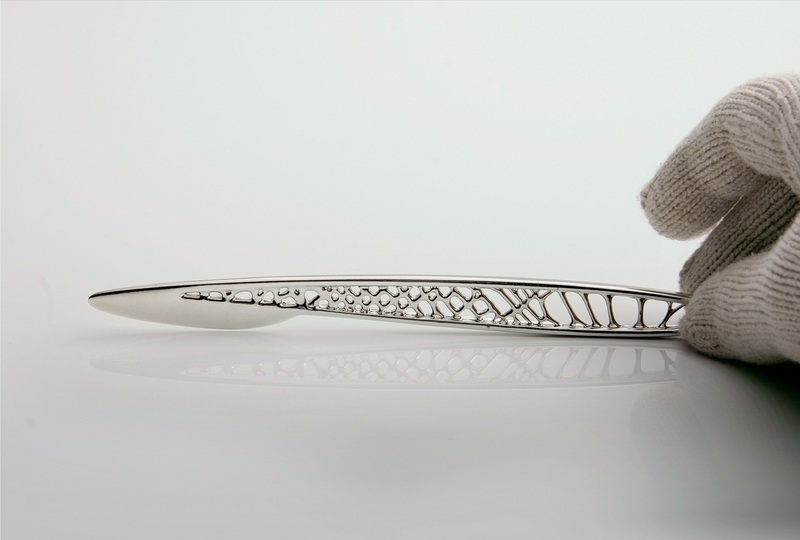 Made from highly polished, 3D-printed metal Jewel’s design transforms highly functional and minimal cutlery shapes into precious luxury items by introducing a dynamic and organic formal language. 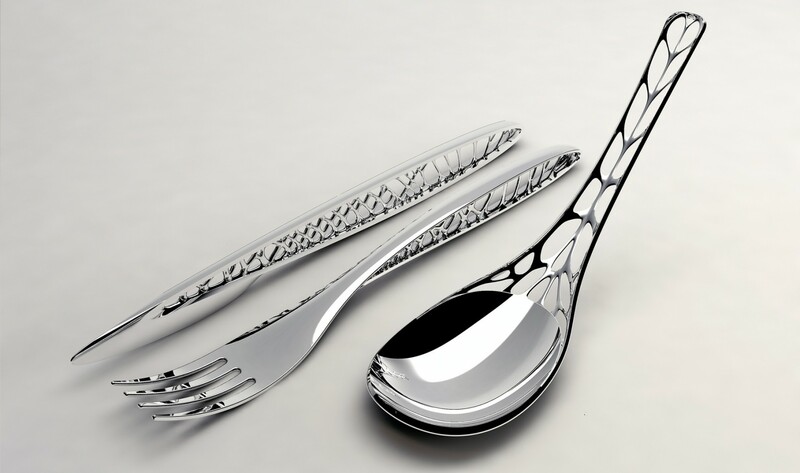 Geometric tension is brought into each object by disintegrating the stems with fluid lines that make the hard metal appear as a delicate, sensuous and elegant frozen liquid. 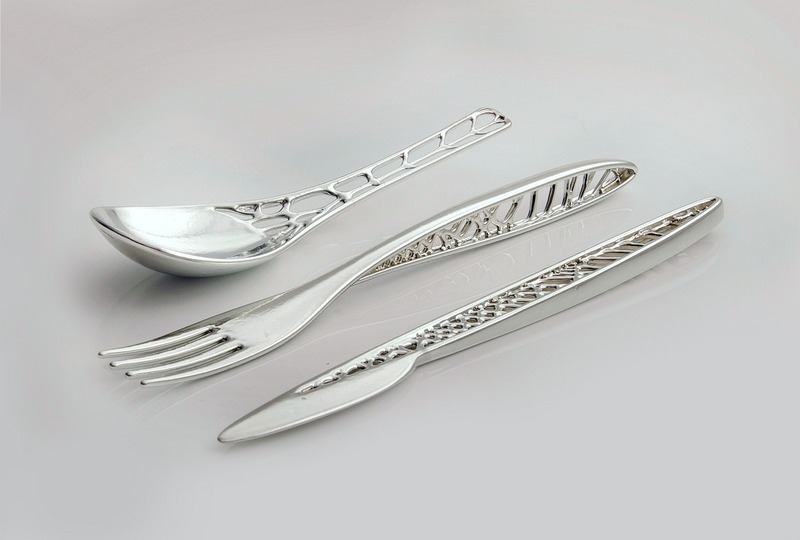 The cutlery set, consisting of a knife, fork, and spoon, forms a close family that expresses both masculinity and strength in the main outlines, and a femininity and elegance in the intricate detailing.